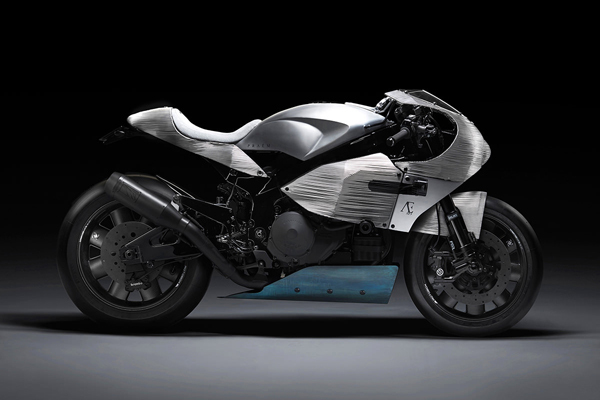 The PRAËM SP3, based on the Honda RC51 SP2 superbike, is another unique creation by Praëm’s Berneron brothers. With its fairing, tail section and front fender made of 2 mm stainless steel rods shaped and welded together, this grand tourer is absolutely stunning. Also striking is the Monaco Calibre 11 watch by Tag Heuer sitting on top of the tank, in its own case.